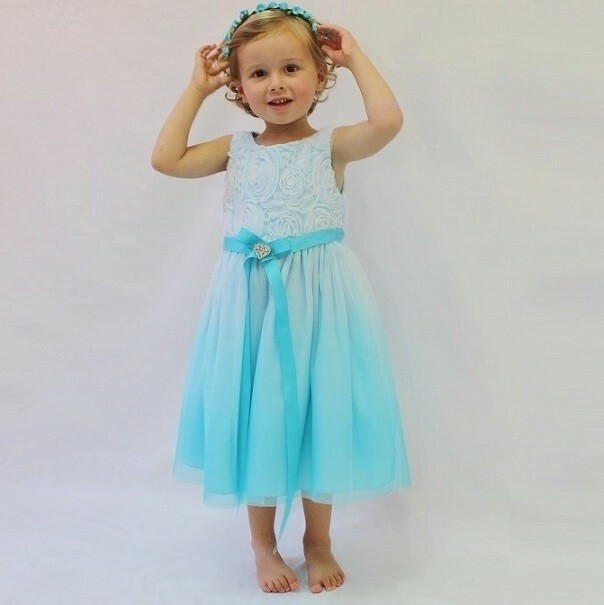 A stunning, blue ombre dress. 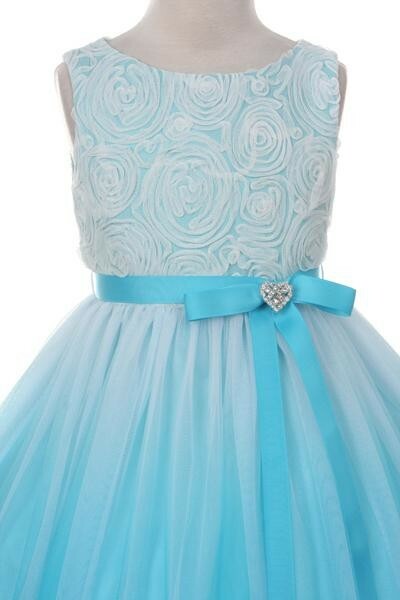 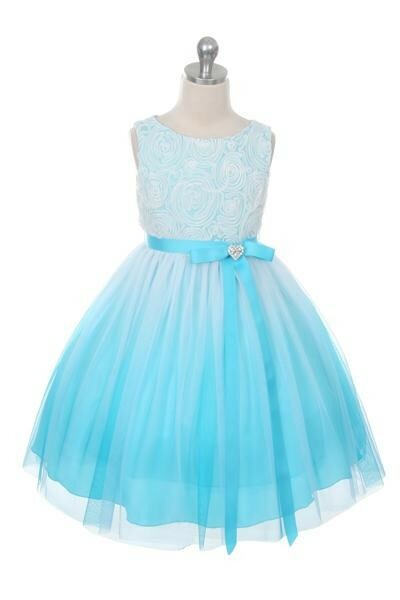 Soft tulle flower design on bodice. Fully lined skirt with ombre tulle overlay from white to blue. 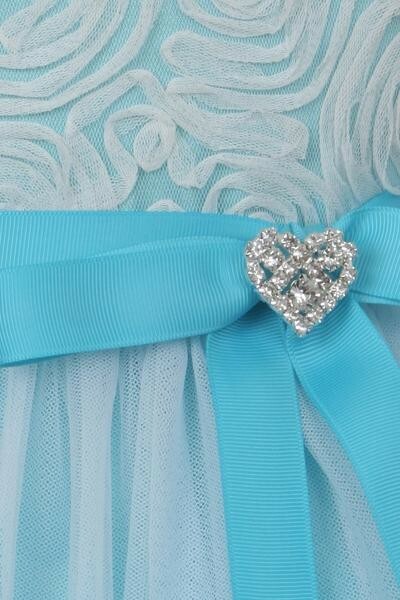 Blue ribbon bow around waist with a gorgeous diamante heart brooch.